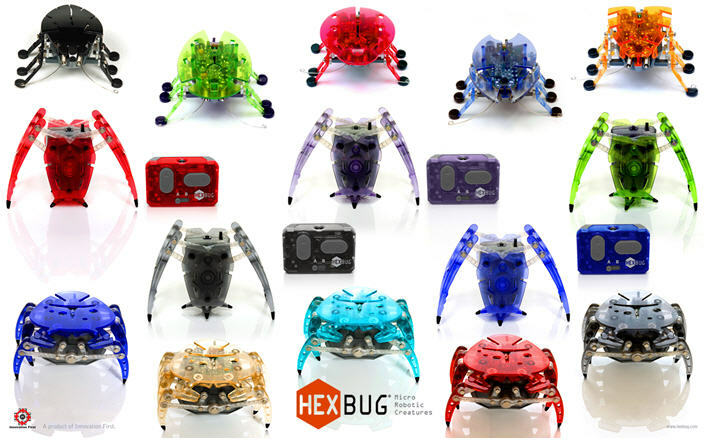 The HexBug is one of the most interesting robotic animals around. These critters are unique as they mimic the functions of real live bugs. A favorite bug with no mess says Marc From Insect Kits. These Robots can only be shipped to the USA. These robotic micro creatures have a mind of their own. Ready to explore the yard or hide in the corner the HexBugs are a real treat. Best part of them though is they do not reproduce and really are not scary. Kids and adults both love the hex bug.